When we think of the simplest of sandwiches, we usually envision a piece or two of deli meat in between slices of bread. However, sandwiches do not always need to have meat. In fact, there are many variations that are so tasty even without bearing pork, beef, chicken or fish. 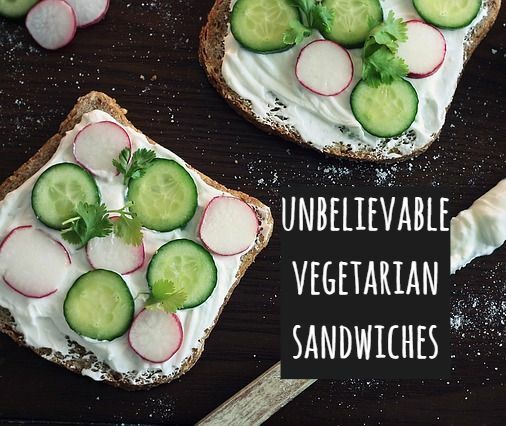 Here are some vegetarian sandwich recipes that will tickle your palate, you would find it hard to believe that they're meat-free! If you're a sandwich lover through and through, it may be a great idea to invest in a good quality silicone baking mat that will be very useful in toasting sandwiches or roasting ingredients for sandwich fillings. Enjoy! 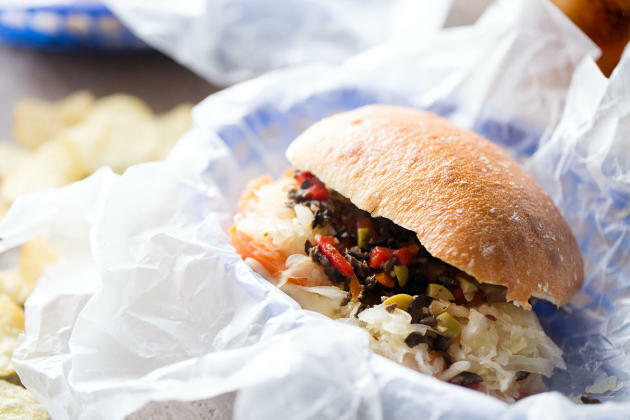 "I use a crusty Telera roll, thick slices of Swiss cheese, a heaping pile of sauerkraut and a simple olive salad made with pimentos, black olives, green olives and garlic. Add in a few slices of Roma tomatoes for some freshness and you have yourself a pretty darn good imitation of my favorite vegetarian Reuben sandwich!" "We are visiting the beautiful Middle Eastern country of Israel for this month's Food of the World event. Israeli cuisine includes local dishes by native Israelis and the Jewish dishes brought in by the Jews from the Diaspora. One of the most popular Israeli dish, Shashuka (eggs poached in spicy tomato sauce) was my fist pick for today, but then I saw this mouth watering Sabich sandwich on Serious Eats and it looked too good to pass up." 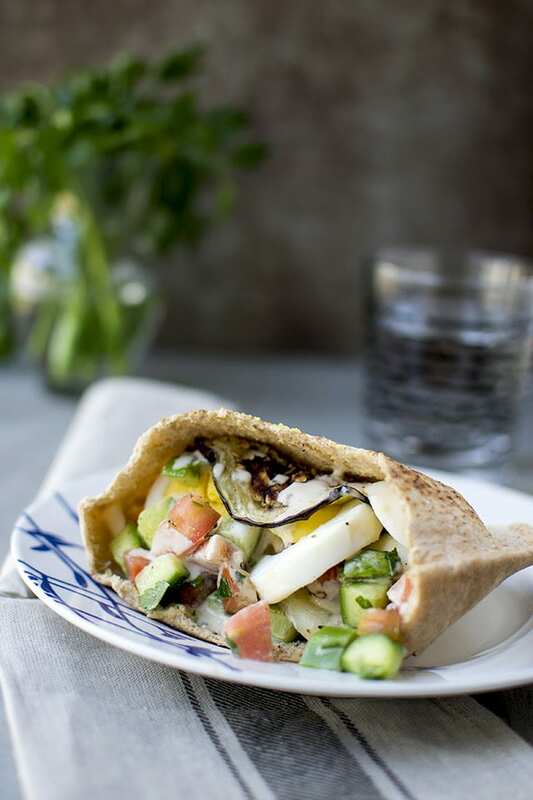 "Sabich is an Israeli street food. It is supposed to be influenced from Iraqi Jewish immigrants. 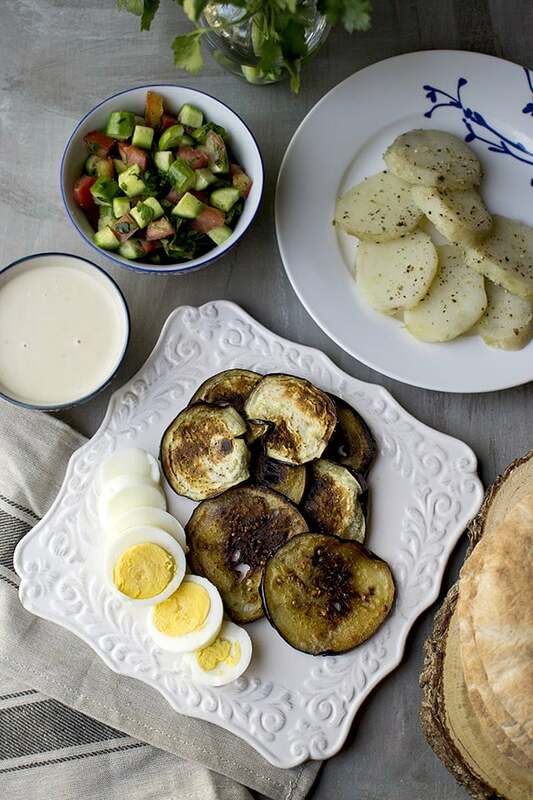 The Israelis took a traditional Iraqi breakfast spread of fried eggplants, boiled eggs etc and put it in a pita and made into a trendy delicacy."